June 13th is right around the corner. Register Today! 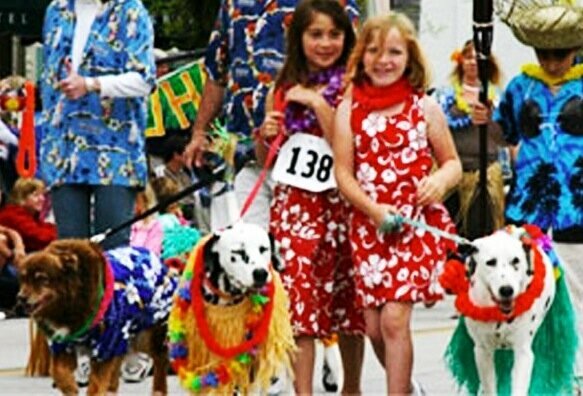 Our Hawaiian Dog Parade to showcase our canine companions in their glory. 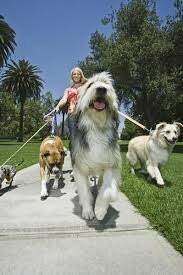 Dogs must be on sturdy leash with one adult present and be socialized. 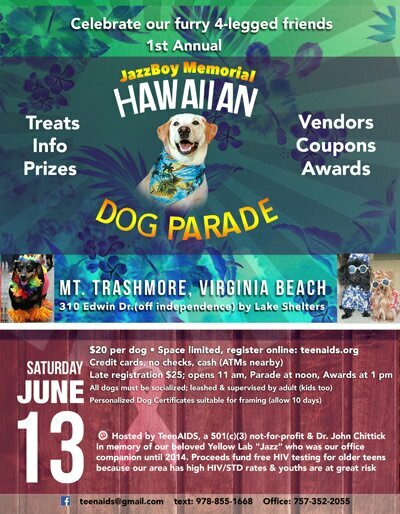 Net proceeds go to fund our charitable mission of free HIV testing of older teens because our region ranks at the top for HIV/AIDS in Virginia and maturing adolescents are the fastest growing population at risk.This is the First Memorial JazzBoy Hawaiian Dog Parade in honor of our office companion. 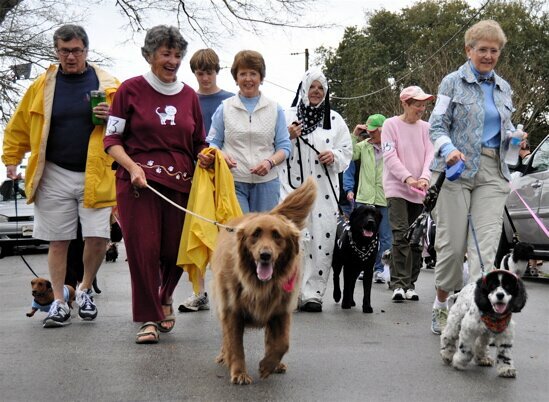 Dogs and owners will receive personalized certificates. Please allow 10 business days for processing. Click Submit below to register for the event. We'll be in touch soon with payment information! 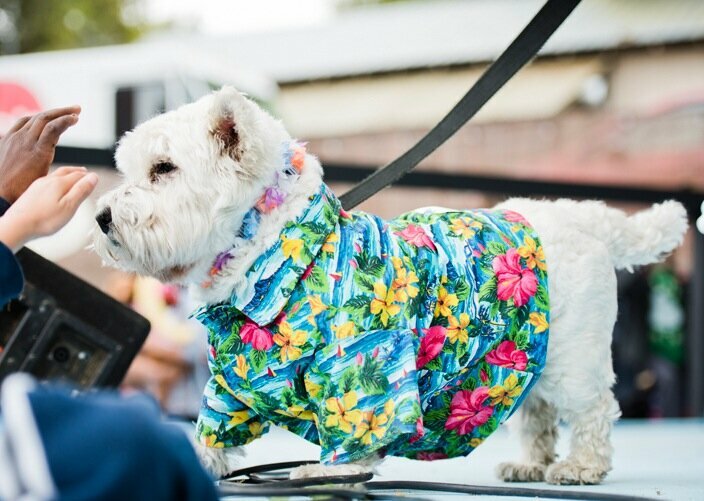 Thanks for registering; we're looking forward to seeing you at the event! 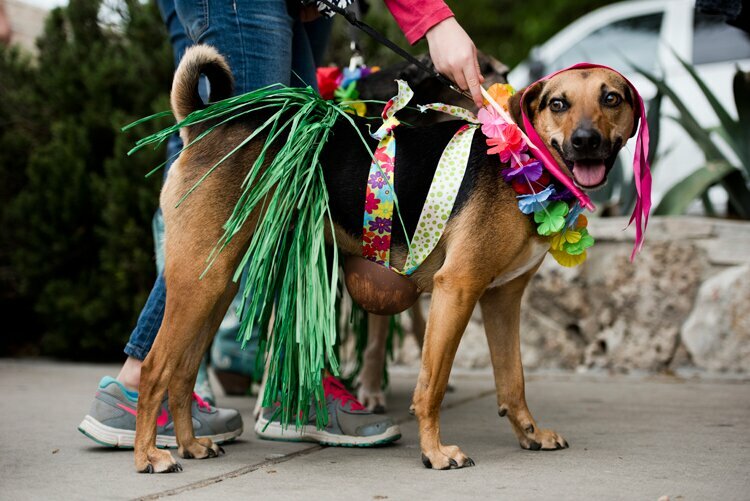 Thanks for registering; we're looking forward to seeing you at the event. Click Submit below to complete your registration!